Today, Sony has revealed that the PS Vita Slim will indeed be hitting the US markets this Spring. Additionally, there will be a limited edition PS Vita Slim bundle which will come with the long-awaited Borderlands 2 Vita edition that was announced during last year’s E3 event. The PS Vita version of Borderlands 2 will also feature a cross-save function, allowing you to take your favorite vault hunters and all of their sweet loot from the PlayStation 3 to the PS Vita. The limited edition bundle will be available for $199.99 USD and will come with a 8GB memory card. In related news, a new hot-fix is now out for Borderlands 2 which Addressed an issue where elemental fire damage over time (DoT) would sometimes incorrectly cause only 1-2 damage per hit. You can check out the full change notes here. 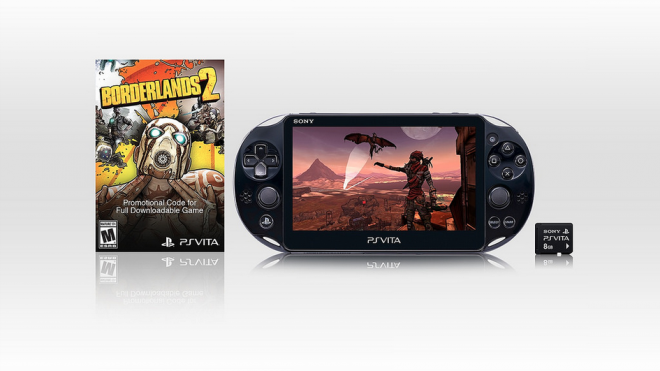 Will you picking up this new PS Vita Slim Borderlands 2 bundle?